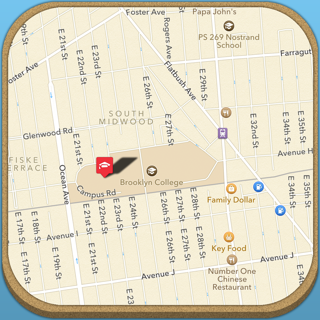 It's like having a yeshiva in your pocket! 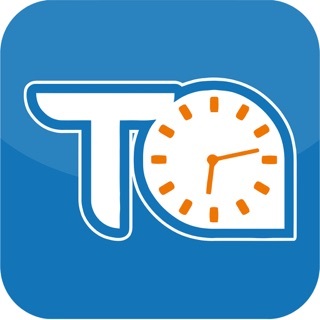 The OU Torah app provides instant access to the world of Torah made available by the Orthodox Union on OUtorah.org (http://outorah.org/). 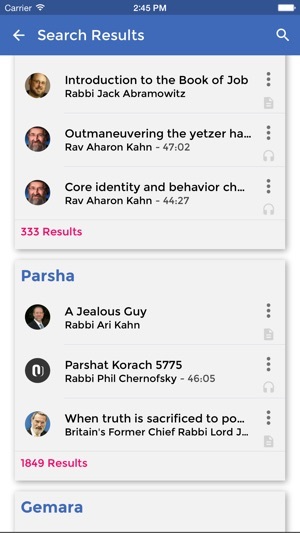 With a single click, users can follow along with the OU’s many and varied daily learning programs, including Daf Yomi, Nach Yomi, Mishna Yomit, and Mishnah Brurah Yomi, as well as many insightful and thought-provoking shiurim on each week’s Torah portion. 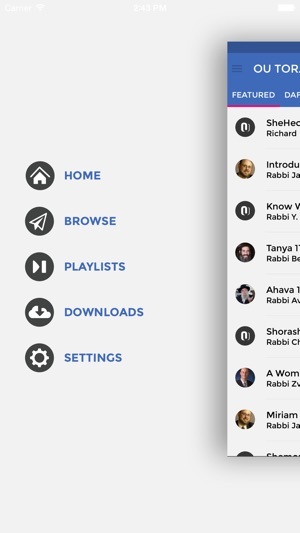 Delving deeper, users will discover many more noteworthy features, ranging from Nach (Bible) to Tefillah (prayer) and from Machshava (Jewish thought) to Halacha (Jewish law). 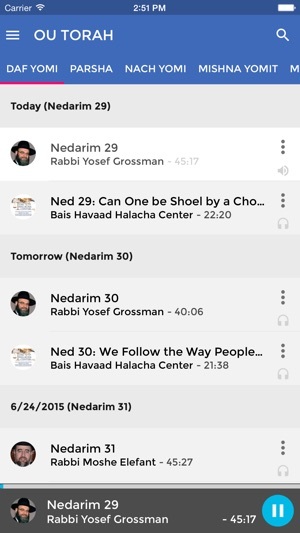 Series on Mishlei, Yoreh Deah, Chovos HaLevavos, Shev Shmaysa, Sefer HaMitzvos, The 19 Letters, and Teshuvos Rebbe Akiva Eiger are just the start of the broad-reaching content the OU Torah app brings to you. Ethicist), Mrs. Shira Smiles, Rabbi Immanuel Bernstein, and many, many more. 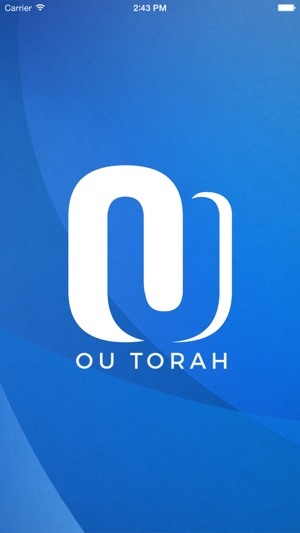 The OU Torah app provides new ways to enjoy all your favorite series. You can read divrei Torah and listen to shiurim on your phone or mobile device; you can download content to review later; you can set up your own personal playlists to enjoy things as you like best. 1. A large and well rounded selection. 3. 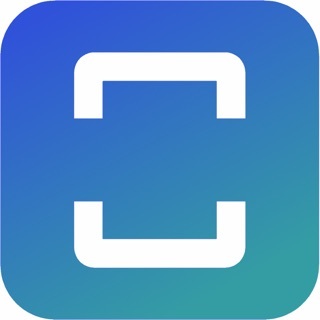 Able to create playlists. 1. If you leave the app for 2 minutes it restarts and you have to look for what you were listening to. 2. It won't continue playing after a phone call, which usually also means that you have to search for what you were listening to (as was pointed out above). 3. 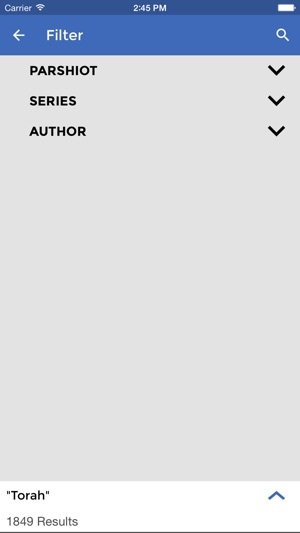 Should have a '30 second rewind' and a '30 second forward' button so there no need to try and scroll exactly a certain amount of time in either direction. 4. Sometimes it loses your place so it might restart 15 behind.